The Winsted W6492 Articulating Single LCD Pole Mount provides support to a single LCD display and easily attaches to Insight's Versa-Trak mounting system. 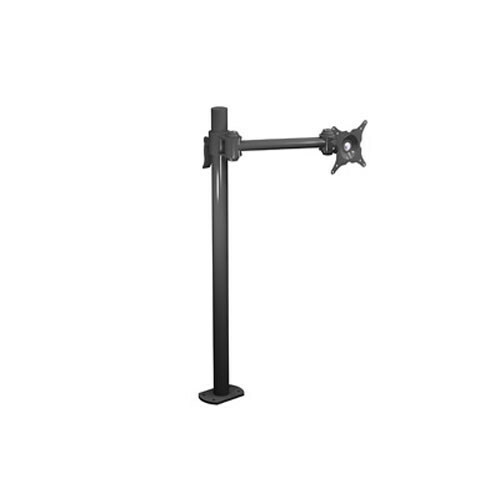 A 10” (25.4 cm) hinged articulating arm integrates the mount and provides easy positioning of the display. Enhanced stability is offered via the 28" (71.1cm) pole, while the pivot / tilt monitor mount provides fluid motion and enables fingertip-based positioning of the LCD display. Along with a VESA hole pattern that allows quick and easy mounting, the mount also feature an integrated cable management system. The pole mount sports a black finish.